The GGTC Run Program focuses on both speed and distance workouts: Track, Trail/Urban runs and clinics. All workouts are geared towards beginners and experienced triathletes and welcome runners of any speed. Rain or shine! Non-members are always welcome! Mario Fraioli is a Bay Area-based running coach who has guided athletes to their first finish lines, personal bests, Boston Marathon qualifying times, national championship wins, Olympic Trials appearances, international podiums, world championship teams, national records, and even the Olympic Games. He also publishes the morning shakeout email newsletter and was the former senior editor at Competitor magazine from 2010-2016. 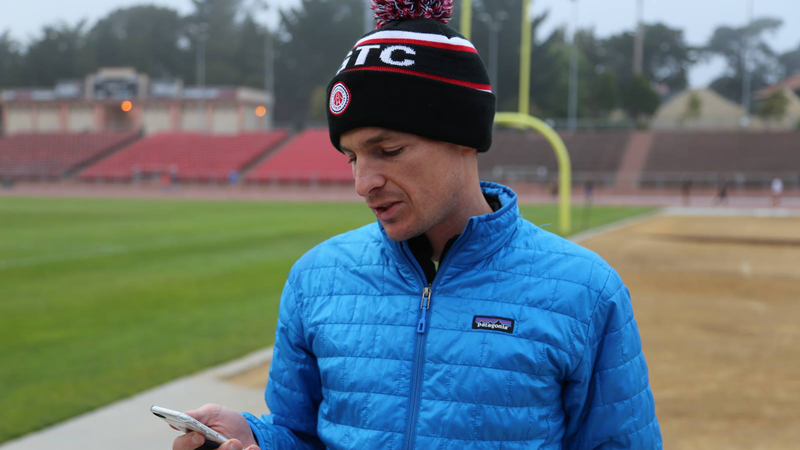 In 2013, he authored The Official Rock ‘n’ Roll Guide To Marathon & Half-Marathon Training. As an athlete, Mario was a cross-country All-American at Stonehill College in 2003 and has raced competitively from the mile to ultramarathon distances. He has personal bests ranging from 4:09 for the mile, 2:28 in the marathon, and 7:49 for 50 miles. A native of Massachusetts, Mario spent a few years in San Diego, and currently lives north of the Golden Gate Bridge with his wife Christine, where he enjoys exploring the trails around Mt. Tamalpais. Depending on race schedules most long runs will be scheduled on Sundays. Please check the calendar for updated events! Adding your own workouts are encouraged! Share your training plans and possibly find your next training partner! What to get faster? Join us every Wednesday night for some hard work and speed! Track workouts are included as part of your yearly membership dues! No more paying for passes! All paces, abilities, and experience levels are encouraged to attend.